I feel honoured to be among such wonderful creative talents and they are such a friendly, happy bunch . check out the rest of the team HERE thanks so much for choosing me Jennifer and Jenny I am very grateful to be part of this team . I am really going to enjoy the ride !! 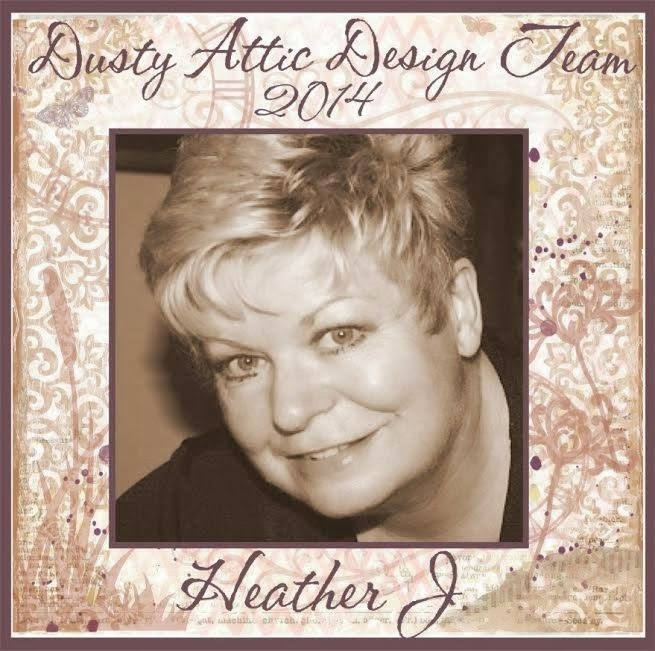 Delightful news Heather...wow, Dusty Attic are going to love your creations!! Huge congrats on this happy news! You're simply perfect for them :) I wish you a happy scrappy new year! Woooooo hooooooo!!! CONGRATS Heather!! Happy New Year!!! Congrats Heather, so well deserved! I know you'll rock with these gorgeous chippies! And wishing you a fabolous new year! Wow Heather! A big CONGRATS to you my friend! You are going to be perfect for the team! BIG CONGRATS Heather, I just know you will rock those DA chippies!! Happy New Year and I look forward to seeing more of your work in 2014!! Congratulations...what a stunning way to start the new year. Wishing you a fabulous 2014.